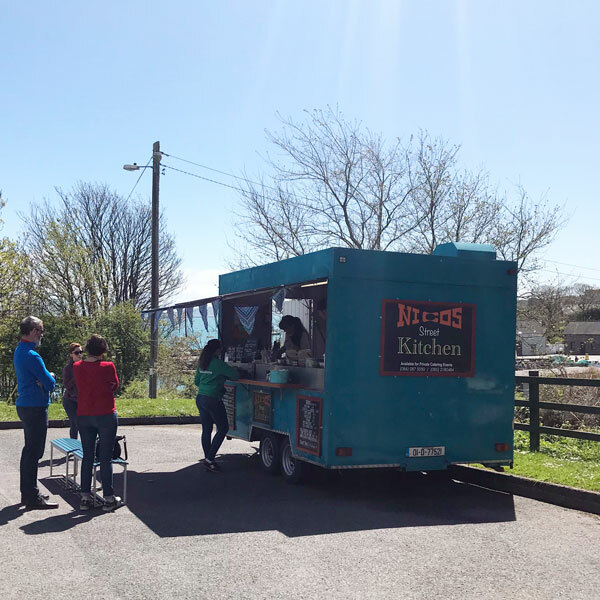 In the car park on Schull’s Pier Road you will find the best food in the village: Nico’s food truck is a West Cork classic. 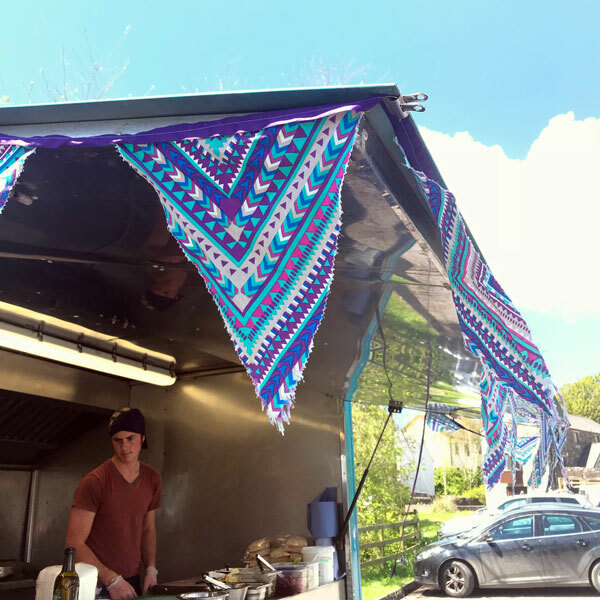 Some cooks have the right feel for food, and Nico, who runs Nico’s Street Food in Schull, West Cork, is one of those cooks. What he does is simple – burgers; wraps; hot dogs; sausage rolls – but the way he does it isn’t simple. In fact, it’s complex, tactile, and pretty darn fantastic. Take his brisket burger, for instance. The meat is as toothy and umami as you could ever hope for. But it’s the interplay of two types of onions – a crunchy, sharp red onion pickle, and a long-cooked sweet tangle of white onions – that ally with the meat and the bun to make every bite a carousel of flavour. Having that sensibility, having that skill to balance and offset ingredients to maximise the impact of the dish, is some sort of a gift. 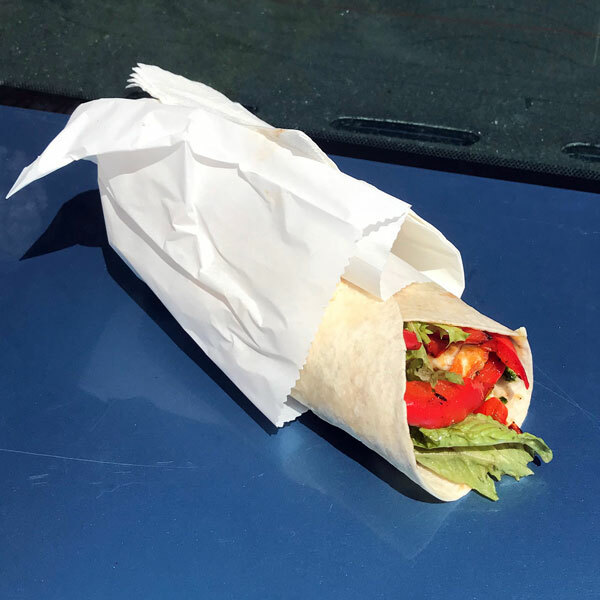 And, to prove that it’s no fluke, and that he shows equal respect to vegetarian dishes, Nico pulls off the same magic with a halloumi and red pepper wrap. Here, the tangle of ingredients he summons together include a parsley pesto, those sweet, cooked red peppers, some crispy yet tender fried potatoes, and shards of fried halloumi cheese. The wrap forms a canvas for these ingredients to meld and blend and complement each other, and they do so beautifully, making for great, tactile eating. 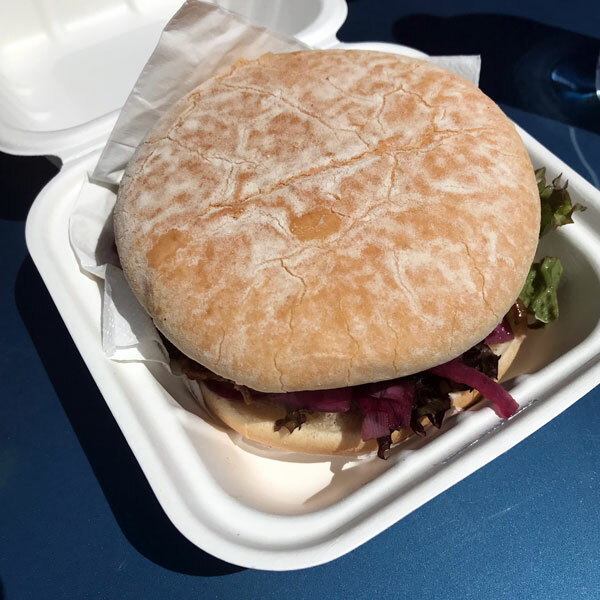 Tactile was the word that kept coming into our heads as we sat on the bench in the car park on Pier Road in Schull, relishing our wrap and our brisket burger. The sea was glinting, the sun was shining, the yachts were racing, and it was one of those Schull days, a day when everything seems to be slightly too good to be true. 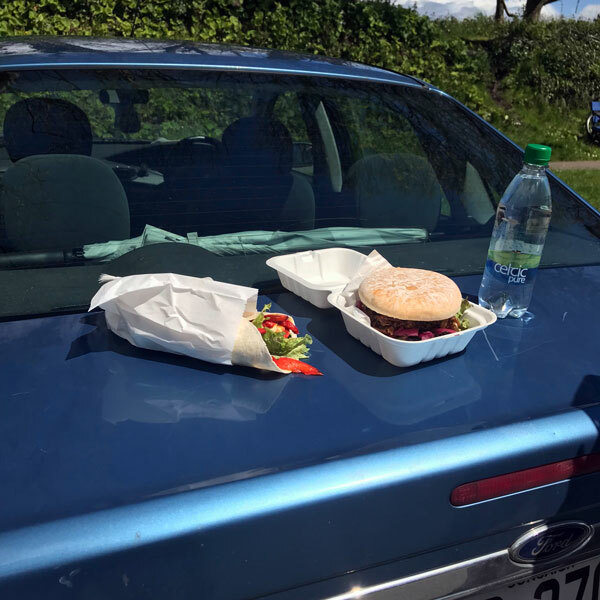 Nico’s Street food also seems slightly too good to be true – were we really eating food of this quality in a car park in West Cork? But we were, thanks to Nico’s cook’s touch, that filigreed finesse that makes simple things special.